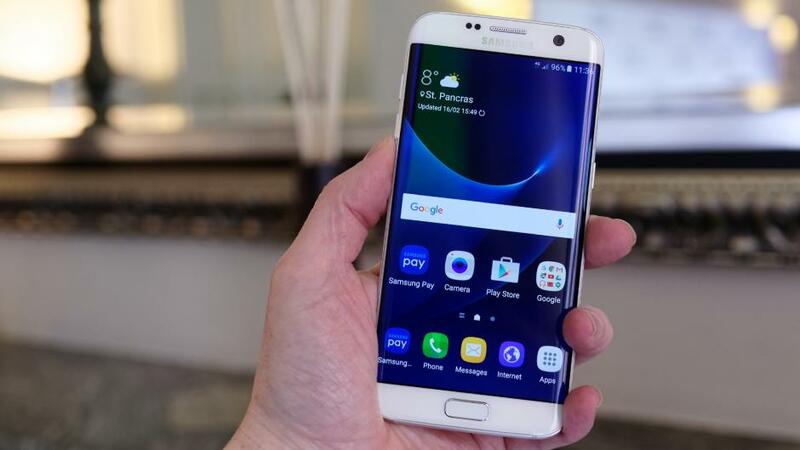 Let’s face it: the Samsung Galaxy S7 Edge is a big phone and if you have smaller hands, you can easily drop it. And we all hate that moment when we drop our phones, right? Right. Fortunately, there are some great case models available for it, including some models which allow you to carry more than your phone. Yes, today we’re talking about some of the best Samsung Galaxy S7 Edge wallet cases! These are perfect for anybody who has a lot of things in their pockets, like money, credit cards, bills or any other things they need each day. Basically, with a case like this, you have everything in the same place and you can even ditch your wallet. Sounds very good, isn’t it? Let’s see which are some of the best models you can buy now! Let’s start with a rather classic model, offering, besides the ability to store items, multiple layers of protection. 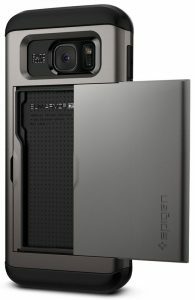 Specifically, we’re talking about a TPU case, which holds the phone, as well as the flip cover, which keeps the phone safe from scratches and other types of damage. 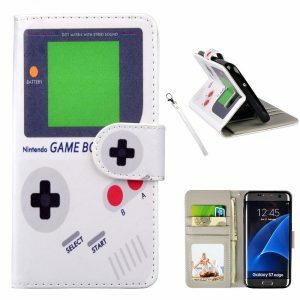 The case is made with synthetic leather and features three slots for cash, as well as a special pocket for money or other types of bills. As a bonus feature, you can fold it in a stand and hold the phone in a viewing position, so you can use your hands freely. You can get this model in Black, Blue, or Purple. Next up, we have a Samsung Galaxy S7 Edge wallet case for all you ladies out there. Why you’re wondering? Well, you should know that it integrates a mirror inside, so you can check out yourself as often as you want. Obviously, there are also credit card and ID slots on the inside, while the premium PU leather it’s made with offers it a very elegant look. The kickstand feature isn’t missing either, being perfect for those who want to enjoy media on the go. 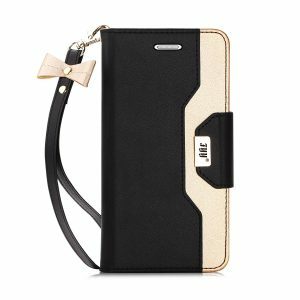 You can get the case in seven different colors and, as a bonus, it has a small ribbon attached to the strap. For an extra lady-like feeling, of course. Looking for something with a lot of storage space? Like, for more than three credit cards? Then you should definitely check out the XRPow Detachable Wallet. It has a detachable magnetic back case, which can be removed so you can use just the protective case. In its ‘final form’, this case is a full fledged wallet, able to house 14 cards, not to mention that it includes a special compartment for money and other bills. There are also cutouts, so you can easily access the smart connector, camera, flash and the headphone jack. You can get it in Black, Red or, our favorite, Brown. If you want something simpler, but with a very elegant look and able to help you carry around credit cards or ID, then we have something for you. 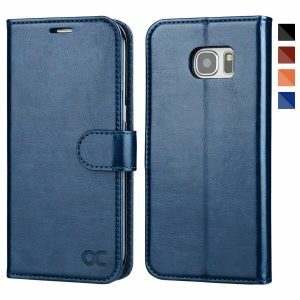 This Samsung Galaxy S7 Edge wallet case from OCASE is handmade with premium leather, which protects your phone from dents, scratches, as well as other daily wear and tear. The case features a magnetic closure, making sure everything is firmly close, while the stand function allows you to adjust the smartphone in an ideal position for reading or watching movies. It’s available in Black, Blue, or Brown. 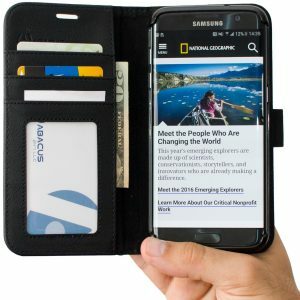 Unlike the previous entries in our top, this Samsung Galaxy S7 Edge wallet case is a bit different. Specifically, it doesn’t have the flip cover, as the slot for credit cards or ID is on the back. Otherwise, it has a minimal design, being slimmer than other wallet cases and offering absolute protection, thanks to the dual layer design, as well as the Air Cushion Technology. 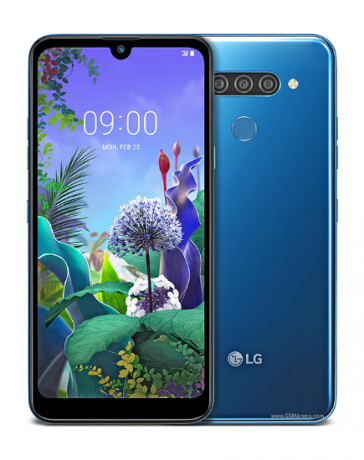 It’s a great looking model, made with shock absorbing TPU and polycarbonate, available in Gunmetal, Blue Coral, Champagne Gold, Black, or Shimmery White. Ok, so you want to stand out a bit, so you’re looking for a case with a very special design. Check out the UrSpeedtekLive Leather Case Cover, a model made with durable synthetic leather and featuring a magnetic closure integrated with inner TPU. It provides full body protection for your phone, even in case of a lighter shock. 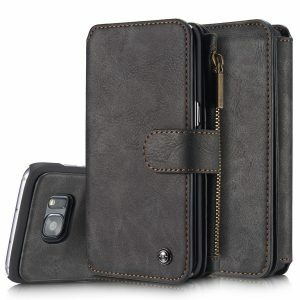 But what makes this case special is the multitude of designs you can choose from. By far, our favorite is the GameBoy, but this is just us. You can actually choose from 13 different models, perfect for expressing your style. The pattern is printed on the leather case and it will last in time. 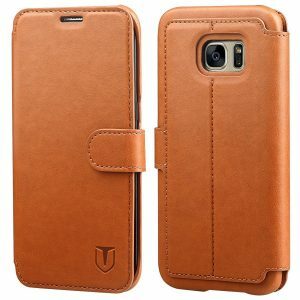 And finally, we have one more Samsung Galaxy S7 Edge wallet case able to offer a very elegant look to your phone: the Layered Dandy, from TANNC. It’s a multi-purpose model, handmade with leather and doubling as a wallet. On the interior, there are slots for three credit cards or IDs, as well as a special pouch for money or other bills. Thanks to the superior material it’s made with, the case will last in time and will age out nicely, obtaining a unique look. The magnetic snap close and the kickstand are guaranteed for 100000 close or fold movements, by the way. It’s available just in Light Brown. Hopefully, you will find your favorite Samsung Galaxy S7 Edge wallet case among the models we selected. Also, if you know other cases that are worth checking out, do let us know about them, using the comments section below!